Hi! I’m Woolly, and I design Hats. I spend much of my time with my family in our double decker bus, which is parked in an artists commune. Art, making and reusing are key aspects of our lifestyle. We like to travel, and Hats are ideal journey knitting! My Mum taught me to knit when I was 3 years old! She tells me that I was keen to learn how to knit, just the same I was keen to learn other aspects of art and craft. One story she is fond of is how we put together a scrapbook of all the images and colours I liked from her magazines when I was around 18 months old – I developed an eye for texture and colour at a young age! What draws you towards designing hats? I’m very much a 3D person, and Hats offer the most possibility from a sculptural perspective compared to other garments. In a previous life I was an art and textiles teacher, and in a life previous to that I was an electronics engineer, and designing Hats – thinking through how to develop the 3D form and then break that down into bite-size steps for reproduction – ticks all of my happy boxes. Above: Camden Cap and Everglade. My most popular pattern is ‘Quynn’, with ‘Everglade’ coming in 2nd. Everglade is a slouchy lace Hat with an intricate crown detail, and Quynn makes clever use of increases and decreases to create integrated earflaps. I can’t be without my interchangeable needle sets! I’ve daft amounts of KnitPro and Chiagoo – I’m a lover of wood needles and I find metal too slippy – and I keep them all in a rather over-crowded case. What would be your top tip for someone looking to start designing his/ her own patterns? I think that designing is a very personal journey – we’re all creative people and we need to find our niche. Allow yourself to explore and experiment and find your identity – it’s becoming more and more important to stand out from the crowd, and a recognisable and unique aesthetic will achieve that. What has your woolly journey taught you about the importance of knitting in modern society? 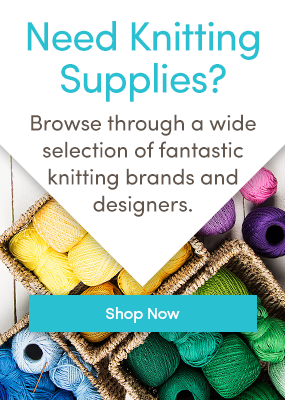 Besides the comparisons between knitting and coding and engineering, both of which are considered modern things, knitting has been proven to de-stress. Supermarkets are one bane of modern life, and I suffer with panic attacks if I spend any amount of time in them… to counteract that I’ve taken to carrying my knitting around, and the simple act of keeping my fingers busy keeps my mind at ease. And in a world full of cheap imports and mass production it’s incredibly fulfilling to be able to make something, to use your own hands and skills and create something unique. Oh yes! Sewing, silversmithing, weaving, claywork – I’ve tried an awful lot of things. I don’t have as much time these days to make my own clothes from scratch, but it is something I went to do more of – in times gone past I used to hand dye or print the fabrics with which I made my trousers/skirts/dresses and I do miss that. Similarly, I’ve begun exploring silversmithing again after a 20 year hiatus which feels very exciting. I think I’d be a good, stable DK – it would have to be pure wool, and firmly spun, but at the same time, soft and drapey and great for stitch definition. If you’d like to buy Woolly’s patterns, you can find them in our independent designers pattern section. The pattern image used in the header is Kernmantle, by Woolly Wormhead. Last updated: January 27th, 2015. Here, Here, regarding the remarks about destressing and the value of always having knitting with you, and the profound satisfaction of creating something, useful, functional and beautiful with one’s own little handies. Great to read about ‘Woolly Wormhead’ (fantastic name). My favourite pattern is Camden Cap – a hat for someone smart, with unusual style and not someone who prefers feminine hats. I would like to buy the “most popular pattern”, Quynn, but I can’t find it here on the blog with Woolly’s other ten patterns. Where is it located? what is the name of the hat featured in this article at the top – slouchy hat with what looks like moss stitch and cable? I don’t see the pattern reference. Thanks so much! Hi Valerie, that pattern is `Kernmantle’, linked at the end of the article. HTH! I love Woolly Wormhead – found her patterns on Ravelry originally. I have made Starburst several times. Its fun to knit and looks good on everyone.